There’s no question that redesigning a kitchen can be an expensive and time consuming project. I’m talking about a complete overhaul, not a quick paint job and re-door. It requires careful planning to ensure that it’s both aesthetically pleasing and functional. There’s electrics, plumbing, cabinetry and lighting elements to consider (to name but a few). So, I guess it’s no surprise how quickly costs can stack up. More reason to make sure that the style of kitchen you eventually choose is one that you’re more than happy to live with for the long term. 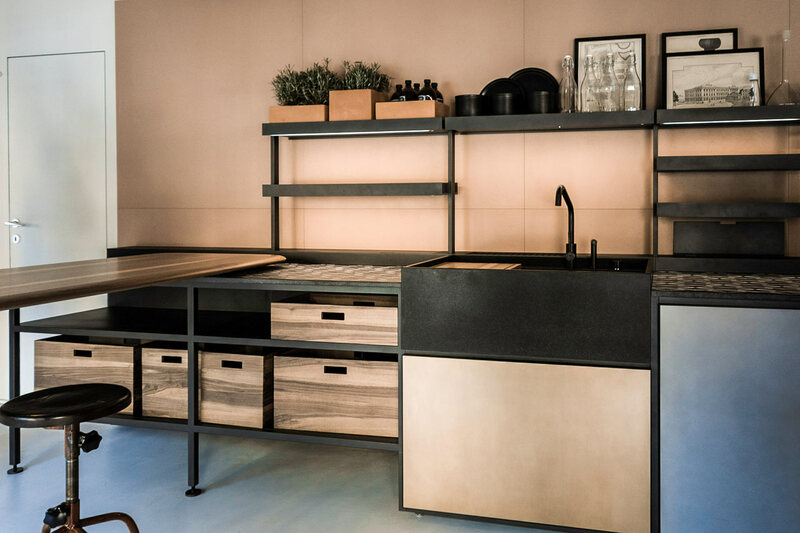 I’m a fan of contemporary, urban design but I’m not quite sure that I would want my kitchen to be too cutting edge in case I tired of its quirkiness within a short space of time. That would be quite a dilemma. I was recently tasked with the responsibility of producing a photo-real 3D visual of a modern kitchen design and it exploited the current trend of painted doors. This is no surprise. With the vast range of refined, sophisticated and downright sublime paint colours on offer these days, it’s possible to inject a little bit of subtle personal style to a kitchen design, whilst still ensuring it retains a fresh, modern appeal. And here it is in all its glory. Not too shabby, huh?! Warm oak, combined with a soft green and neutral colour palette and tons of natural light ensure that this kitchen is not only a visual treat but also a very welcoming space in which to dine, relax or cook. But seriously, a kitchen as beautiful as this shouldn’t ACTUALLY be used, right? CLEARLY this kitchen area, quite like those lush, expensive towels that you hang on your towel warmer, would fall under the ‘display purposes only’ category! Kitchen design by Hilary J White Interior Design.